Influencing interiors trends for the past 20 years, the release of Pantone Colour of the Year is a hotly anticipated annual event. 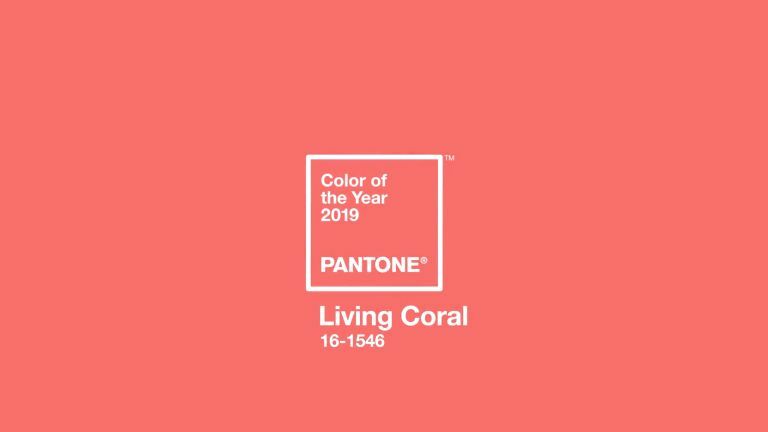 This year, we were far from disappointed with the announcement that vibrant yet mellow 'Living Coral' has been selected as 2019 Colour Of The Year. Described as 'an animating and life-affirming coral hue with a golden undertone that energises and enlivens with a softer edge', it's a bold, daring shade (that we love by the way) that's perfect for adding a warm hit of colour in furnishings or on a feature wall. So, how do Pantone's colour experts draw inspiration for the Colour Of The Year? It comes from various sources, with popular travel destinations, art, fashion, film, new lifestyles, advancements in technology and socio-economic conditions influencing the final decision. It is this process of thoughtful consideration and trend analysis that saw Living Coral come out on top for 2019. Pantone also suggests that significant influences included the prominence of the shade in both our 'natural surroundings,' and its 'lively presence within social media.' In this respect, the shade is seen to represent a fusion of old and new, as well as our innate need for optimism (much craved at the moment...).